THANKS FOR YOUR PLEDGE TO HELP PREVENT DRUNK DRIVING! Thank you to the thousands of responsible college basketball fans who made the TEAMUp2Win! pledge! 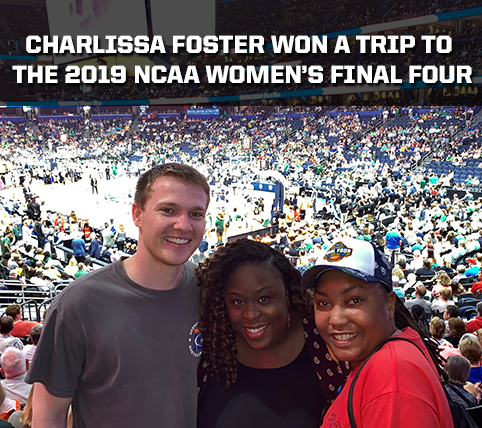 One responsible fan won a trip to the 2019 NCAA® Men’s Final Four® in Minneapolis, MN and another won a trip to the 2019 NCAA® Women’s Final Four® in Tampa, FL! With TEAMUp2Win!, NCAA basketball fans over the age of 21 may join in the effort to prevent drunk driving. Now, Responsibility Really Does Have Its Rewards when you, your friends, family, co-workers, fraternity brothers, sorority sisters, teammates, alumni organization members or any members of social groups makes the commitment to prevent drunk driving. Click on either button below to see the TEAMUp2Win! sweepstakes winners! Congratulations to CharLissa Foster (pictured below left) and Jody Negen (pictured below right)! CharLissa and Jody were the winners of the 2019 TEAMUp2Win! 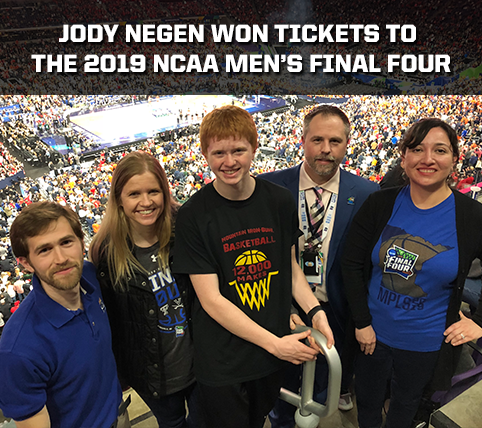 Grand Prizes to the 2019 NCAA Women’s and Men’s Final Four®. Click here for the blog post describing the once-in-a-lifetime experiences for both winners. Responsibility has its rewards! TEAM Coalition and the NCAA have partnered in the TEAMUp2Win! sweepstakes since 2008. Click here to see all the past winners. For many years, TEAM Coalition has sponsored the Responsibility Has Its Rewards® campaign for fans who pledge to be designated drivers at professional sports stadiums, arenas and race tracks as well as Live Nation concert venues. Fans who pledge to be the designated driver and make sure to get their friends and family home safely from the game are also registered for a chance to follow their favorite team to the championship game or series of the sport. Concert goers who pledge to be responsible are entered to win tickets to future Live Nation shows. With TEAMUp2Win!, NCAA basketball fans over the age of 21 may join in the effort to prevent drunk driving. Now, Responsibility Really Does Have Its Rewards when you, your friends, family, co-workers, fraternity brothers, sorority sisters, teammates, alumni organization members or any members of social groups makes the commitment to prevent drunk driving. Support your favorite college basketball team during NCAA March Madness®. TEAM Coalition thanks all the organizations and their members who made the Responsibility Has Its Rewards pledge. Enjoy NCAA March Madness! Please view about TEAM Coalition to see the member organizations TEAM Coalition credits for their creative and financial support. TEAMUp2Win! encourages NCAA basketball fans to have fun, cheer on their favorite team and celebrate responsibly. For more details about eligibility to participate in TEAMUp2Win! please review the complete rules. TEAM Coalition and the NCAA are proud to partner for the 2016 TEAMUp2Win! program. 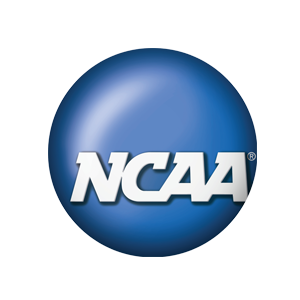 NCAA, FINAL FOUR, WOMEN’S FINAL FOUR AND MARCH MADNESS ARE TRADEMARKS OWNED OR LICENSED BY THE NATIONAL COLLEGIATE ATHLETIC ASSOCIATION. TEAMUP2WIN! IS A TRADEMARK OWNED BY TECHNIQUES FOR EFFECTIVE ALCOHOL MANAGEMENT (TEAM) COALITION.